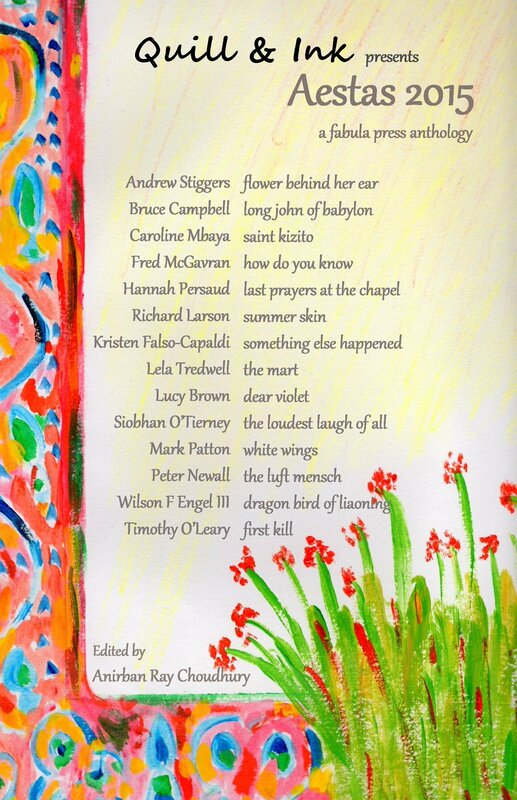 My short story, White Wings, based on the 1782 shipwreck of the East Indiaman, Grosvenor on the coast of South Africa, long-listed in 2014 for the Fish Prize, has been long-listed in 2015 for the Aestas Prize, and has now been published in the Aestas Anthology for 2015, edited by the Indian poet, Anirban Ray Choudhury. My story is, as it happens, the only piece of historical fiction in this anthology, and I thought that this might be an opportune moment at which to consider the short story as a genre in relation to historical fiction. "We all came out from under Gogol's overcoat," wrote Ivan Turgenev of short story writers, and the most frequently cited authors of short stories, from Gogol and Turgenev, through James Joyce and Ernest Hemingway, to Lydia Davis and George Saunders, have tended to set their stories either in their own times, or in a surreal (and often dystopic) variant of them. Even Hilary Mantel, much lauded for her historical novels, turned to the contemporary world for inspiration for her short stories in The Assassination of Margaret Thatcher. The recent long-lists for major short story prizes have, likewise, been dominated by contemporary fiction, although there have been some notable exceptions (Carys Davies won the V.S. 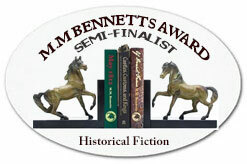 Pritchett Prize in 2011 for her story, The Redemption of Galen Pike, set in the world of the American West). 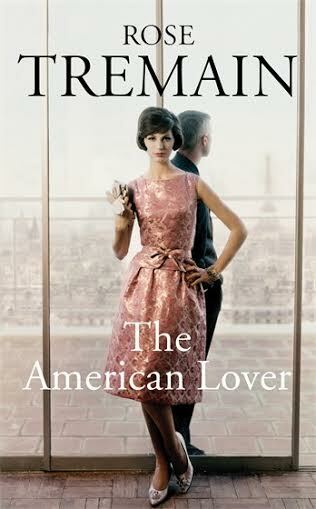 There is, perhaps, little scope in the short story for the sort of world-building that underpins many historical novels, and yet the short story is ideally suited to the exploration of specific moments in time, particularly as seen through the eyes of people often cast by the historian as marginal to the grand sweeping narrative of history itself. "The short story does not need a hero," suggested Frank O'Connor, one of the leading practitioners and theorists of the genre. Frequently, instead, there is a "submerged population group" - he gives the examples of Gogol's officials, Maupassant's prostitutes and Chekov's doctors. 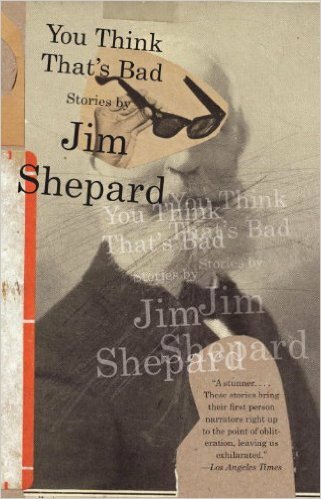 "Always, in the short story," he continues, "there is this sense of outlawed figures wandering about the fringes of society." I am not sure that this is always the case, but Galen Pike is certainly one such figure, as is Joshua Glover, the humble seaman who provides one of the viewpoints in my own White Wings. History is full of such characters, if the writer is prepared to seek them out. Two recently published short story anthologies have caught my eye. Both Rose Tremain's The American Lover, and Jim Shepard's You Think That's Bad, combine historical with contemporary stories. 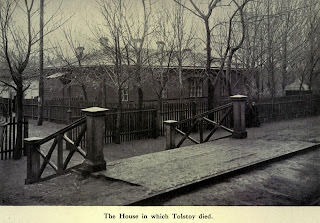 In her story, The Jester of Astapov, Tremain draws directly (and delightfully) on the Russian tradition of Gogol, Turgenev and Chekov. The setting is a remote railway station in Russia in 1910. A frail and sick old man is helped from a train: he is the already legendary author, Leo Tolstoy. The stationmaster, Ivan Osolin, takes him into his own home, protecting him from the attentions both of his estranged wife, and of the many reporters who soon gather around the station. Whilst their focus is on the dying writer, Tremain's is on the station-master (and eponymous jester), Osolin, and on his family and community, for whom life will never quite be the same again. 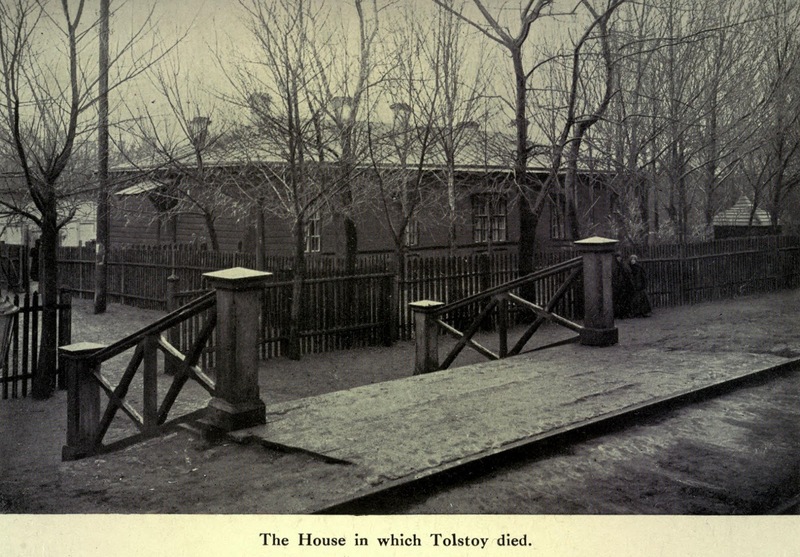 The house of Ivan Osolin at Astapovo, from P. Biriukov's Life of Tolstoy (image is in the Public Domain). "When I was twelve, the man from whom we rented our pastureland - a lifelong bachelor whose endless mutterings were his way of negotiating his solitude, and whose imagination extended only to business; the sort who milled his rye without sifting it, so it might last longer - was found in the middle of our lane one winter morning, naked, his feet and lips blue. He said a demon had appeared to him on a pile of wood under his mulberry tree, in the likeness of a corpulent black cat belonging to the house next door. With its front paws the cat had gripped him by the shoulders and pushed him down, and then had fastened its muzzle on the man's mouth, and would not be denied." 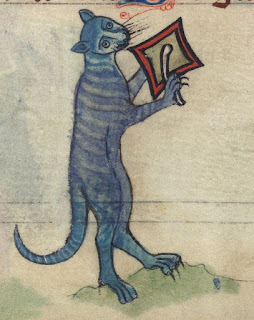 Illustration from a 15th Century Book of Hours, Walters Manuscript W.102, fol. 78v (image is in the Public Domain). For self-published authors, whose novels are specifically excluded from consideration for many of the major literary prizes; and for those of us published by small independent publishers (in most cases not specifically excluded, but nonetheless struggling to be noticed by prize juries); short story competitions offer an opportunity to be noticed and, since judging is, in almost all cases, conducted on the basis of anonymity, a chance to compete on equal terms with the brightest stars in the literary firmament. They have widely differing deadlines and word-length rules, and varying entry fees; a few of them offer the possibility of large monetary rewards, but most don't; some, but not all, carry the direct prospect of publication. Those that either are, or shortly will be, open to submissions, include the Aesthetica Prize, the Costa Prize, the International Rubery Book Award, the Fish Prize, the Bath Short Story Award, the Bristol Prize, the Bridport Prize, the V.S. Pritchett Prize and the Aestas Prize. Mark Patton's short story, White Wings, is published in the Aestas Anthology for 2015, edited by Anirban Ray Choudhury, which can be purchased from Amazon UK or Amazon USA. His novels, Undreamed Shores, An Accidental King, and Omphalos, are published by Crooked Cat Publications, and can be purchased from Amazon. Congratulations on your publication. And thank you for the links! Very useful.